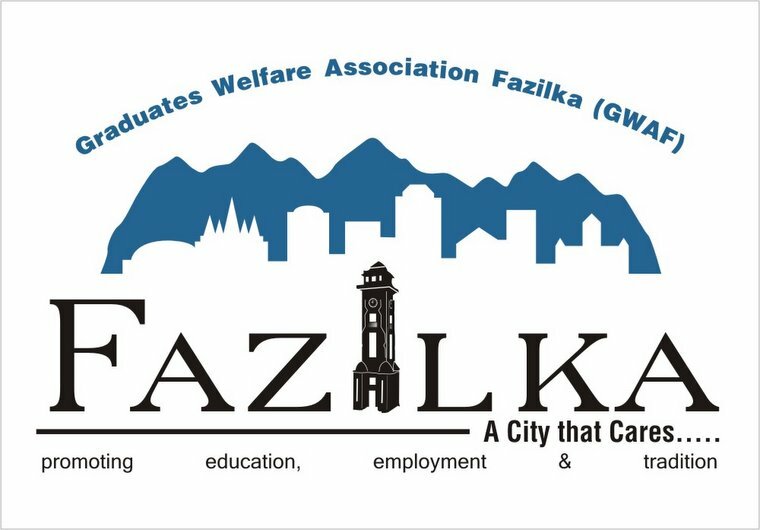 Fazilka-based 'Ecocabs', an NGO working in the area of sustainable mobility and transport in the region, has made it to the top-five shortlist of organisations for 'Volvo Sustainable Mobility Award 2013'. The winner will be announced at the Volvo Nobel Memorial Seminar on November 7. The Swedish embassy has been organising a Swedish-India Nobel Memorial week since 2007. The organisation focuses on India's first Nobel laureate Gurudev Rabindranath Tagore in the Centenary year of his Nobel Prize. Navdeep Asija, founder of Ecolabs, said that the recognition was a result of hard work in the area of non-motorable transport solution. The Volvo award, now in its 3rd edition, aims to motivate thinkers and organization working in the area of sustainable non-motor transport solutions. Punjab Heritage and Tourism Promotion Board (PHTPB) has also implemented Ecocabs in tourist cities like Amritsar and Patiala. The pilots running the Ecocabs are also trained to act as tourism guides. In 2011, Ecocab had been awarded a national award for the best transport project in the country in the area of non-motorised transportation. The Volvo award shall be conferred by his excellency Harald Sandberg, ambassador of Sweden to India. The chairman of the board of Volvo Buses Akash Passy will preside over the award function. While the West Bengal Government has earned the ire of environmentalists for banning bicycles and rickshaws on 174 roads, in Punjab the humble cycle rickshaw continues to save 9 lakh litres of fuel and 13,680 tonnes of fresh air every day. A common man's transport mode, more than 3 lakh cycle rickshaws help 6 million people commute to their destinations everyday without spewing any toxic emissions. These are the findings of a study on cycle rickshaws by Navdeep Asija of the Institute of Development and Communication, Chandigarh. The cycle rickshaw is a source of income for 16 lakh persons and 3.2 lakh urban poor families of Punjab. Of the 5.5 crore commuter trips recorded in the state, 6 million are by the cycle rickshaws. It is undoubtedly the safest mode of transportation with the least number of accidents as compared to other modes. "Each cycle rickshaw saves 3 litres of fuel every day. Since burning of each litre requires 15.2 kg of fresh air, 9 lakh litres would require 13,680 tonnes of fresh air," explained the study. Despite being a green mode of transport, the rickshaw is the only over-regulated mode of public transport in the country. The study states: "All existing policies related to operations are either trying to control the number of people who enter this trade or abolish the sector altogether. The Seventh Schedule (Article 246), List II of the Constitution delegates' powers to make rules and regulations related to non-motor transport, especially the cycle rickshaw. "The existing Rickshaw Acts do not provide much attention towards the smooth and legal rickshaw operations, but an over-regulated licensing regime has been created, which only leads to exploitation of rickshaw operators and the trade itself." It quotes a survey conducted by Manushi that states that in Delhi alone the "terror unleashed by the licence quota- raid-raj on rickshaw operators leads to a loss of income worth over Rs 200 crore through bribes and confiscation of rickshaws." The study discusses how the applicable Acts restrict a rickshaw puller aged above 45 not to ply a rickshaw. Ironically, the tax component of cycle rickshaw is about 20 per cent-22 per cent, the highest for any mode of transportation. The study has suggested reforms in licensing, relaxation in the upper age limit, allowing renting of rickshaw and VAT exemption. Yesterday, India celebrated the 144th birth anniversary of its greatest leader, Mahatma Gandhi, a visionary whose fundamental principles and vision are universally applicable – especially to sustainable transport. As an individual working in this field, I felt I must share my interpretation and compiled wisdom about Gandhi, his philosophy, and its relevance to the sustainable transport sector. Gandhi was strong supporter of cycling and walking, who can perhaps be credited with starting the sustainable transport movement in India. In his book Hind Swaraj, he defined the principle of sustainability as, “More from less for more”. I would like to share a few anecdotes about Gandhi, and some of his famous quotes, because they reflect his concern and vision for a great cause: sustainable urban mobility. Gandhi’s daily routine included walking nearly 18 kilometers (11.2 miles). He averaged 15 kilometers (9.3 miles) during the Dandi march, and walked a total of almost 80,000 kilometers (49,710 miles) throughout his campaigns from 1913 to 1938. That’s enough to walk around the world twice! Gandhi loved walking and often called it the “prince of exercises”. As a student in London, he saved money by walking several miles every day. 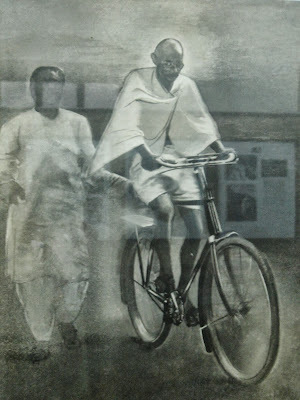 Gandhi also had a strong passion for cycling. When he moved to Ahmedabad in 1915, he rode his bicycle from Gujarat Vidyapith to Sabarmati Ashram. In Johannesburg, South Africa, he was the first person to oppose and protest a law which discriminated against people cycling on the streets. He wrote in the journal Indian Opinion opposing a move by the Johannesburg Town Council requiring every native who held a cycle permit and rode a cycle within the municipal area to wear a numbered badge on his left arm. Interestingly, two post-independence laws, the Delhi Municipal Act of 1960 and Punjab Cycle Rickshaw Act of 1976, kept similar restrictions and licensing systems in place for cycle rickshaws until this year – they were recently declared unconstitutional by the Supreme Court of India. Gandhi’s famous Salt March, also known as the Salt Satyagraha, began with the Dandi March on March 12,1930. This march became an important symbol of the Indian independence movement. As he traveled on the 24-day-long, 390 kilometer (240 mile) march to produce salt without paying a tax imposed by the British, a growing number of Indians joined him along the way. When he broke the salt laws at 6:30 am on April 6, 1930, it sparked widespread acts of civil disobedience against the British Raj salt laws by millions of Indians. Simply put, Gandhi used walking as a tool to organize his fellow Indians. Gandhi continually emphasized the importance of walking and cycling. When asked for advice, he once told someone, “I hope you are careful about eating. You may use a bicycle, but you should also walk daily”. After a small incident on bicycle Gandhi wrote to his friend about bicycle maintenance, “The bicycle incident yesterday was not a happy one. A carpenter will always keep his tools ready for use. A typist will keep his typewriter in good repair and a rider will keep his horse in good stead. Similarly a bicycle should always be kept clean, oiled and ready for use. Otherwise don’t have a bicycle at all”. Another time, Gandhi wrote to a friend, “If, however, you are determined to work in the city, you should stay in the city. You are not strong enough to go to the city and return on bicycle”. With this comment, Gandhi referenced the size of cities and their human scale. Today’s urban planning is dominated by motorized vehicles, and as a result, the distance we travel between work and home is constantly increasing. The quote above from Gandhi reflects his concern for better urban planning, and where people should live. Today most of our Indian cities face similar challenges. Gandhi’s principle, “More from Less for More” (MLM) is all about getting greater performance from fewer resources for more people, and not just for bigger profits – this principle should be followed with the goals of creating a more equitable society and realizing a sustainable future for mankind in mind. That’s what Gandhi would want us to aim for in today’s urban planning. It’s impossible to imagine what might have happened if had India followed Gandhi’s ideals on sustainable transport and urban planning from its founding, and given support to the local informal sector, which includes non-motorized transport. Although it’s sad to see that none of the principles given by Gandhi are currently being adopted into India’s transportation policies, it’s not too late to implement them. It’s time for India to revive the spirit of our cities by examining the strengths and weaknesses our own existing transport system, rather than blindly accepting all western models. It is high time we act in order to create a sustainable future for our present and future generations by practicing the principles of someone whose vision was way ahead of his time. "The educated man must realize that he has more obligations than privileges, more duties than rights. The educated man should be delighted to serve, and not desire to dominate. For, service is the best way to use one's skills, intelligence, strength and resources"